A Petition to the UK Parliament to allow transgender people to self-define their own legal gender has gained nearly 10,000 signatures. 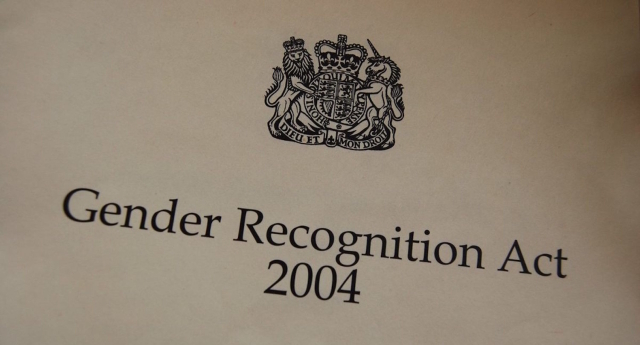 The petition, created by Ashley Reed, urges the Government to change the process of getting a Gender Recognition Certificate, during which half a dozen forms of ID are required. It compares the Gender Recognition Act of 2004 with the new Irish Gender Recognition Act, which is considered more up-to-date and allows trans people to self-identify. The Gender Recognition Act is key for people wishing to legally change their gender, but its processes are in desperate need of renewal, writes Naith Payton for PinkNews. The petition reads: “Transgender people in the UK are forced to pay to prove their identity to a Gender Recognition Panel. This process is humiliating, outdated and unnecessary. We urge the government to introduce an act equivalent to the Irish Gender Recognition Act, and allow trans* people to self-define their gender. The petition also urges the Government to make provisions for those who identify as non-binary, and who do not necessarily have access to a Gender Recognition Certificate. Should the petition reach 10,000 signatures, the Government will respond, and if it reaches 100,000 signatures, it will be considered for a debate in Parliament.